Part of the biceps tendon originates just on top of the shoulder joint and runs through the joint. pain and associated symptoms, while others may require surgical repair. Treatments are contingent on the nature of the injury and severity of the torn tendons. Inflammation of the biceps tendon is common from overuse, especially in athletes. It’s also common in middle aged individuals who over use the tendon during work, working out, or an activity like moving or gardening. If a person falls hard on an outstretched arm or lifts something that is too heavy, a partial or complete tear may result in the biceps tendon. Too much load during weightlifting is a prime example of a risk factor that may contribute to injury of the biceps tendon. A person who operates heavy equipment that includes lifting overhead excessively may cause damage to this area of the shoulder. Common risk factors are discussed below. Many tears are the result of a wearing down and fraying of the tendon that occurs slowly over time. This process naturally occurs as a person ages; however, it can be worsened by overuse – repeating the same shoulder motions again and again. 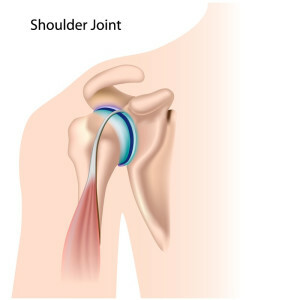 Overuse can cause a range of shoulder problems, including tendonitis, shoulder impingement, and rotator cuff injuries. Having any of these conditions puts more stress on the biceps tendon, making it more likely to weaken or tear. If you suspect any one of the above issues as a result of a work injury, it is critical to seek medical assistance and assessment from a workers compensation doctor. Age – Older people have put more wear and tear on their body, as well as their tendons, than younger people. Overuse of the shoulder – Repetitive motions and overhead sports, like swimming and tennis, can lead to more shoulder wear and tear. 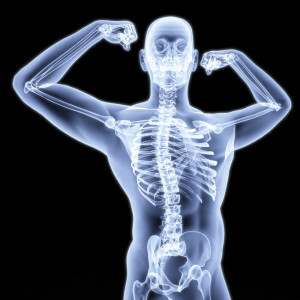 Overhead activities – Heavy overhead activities, such as weightlifting or work where overhead lifting is required, can put excess wear and tear on the tendons. If shoulder pain occurs, it may be due to a biceps tendonitis. Seek treatment with an Arizona workers compensation doctor. Nicotine use – Smoking and excessive nicotine can affect the nutrition of the tendon and make it more susceptible to injury or wear and tear over time. Nonsteroidal anti-inflammatory medication administration to reduce pain and swelling. Injections of steroid around the area of tenderness and pain. While surgical treatment is reserved for the most severe cases, an orthopedic surgeon can work with you to determine which procedure and treatment plan is right for you. Surgery may be the right option for those with complete tears, or those who are active and require complete recovery of strength in their shoulder and arm.